I’ve had coronary artery disease and CHF for years. I’ve lost 60 pounds with Dr. Villarreal. He taught me how to eat nutritious foods and enjoy their taste. I am still wanting to lose a few more pounds, though slowly. Dr. V wants me to preserve and grow more muscle mass. I know the stress on my heart is reduced. My blood pressure is controlled. My heart disease is managed easier today and I don’t need insulin to control my blood sugar. I enjoy reading and after having lost weight, my mind is clearer and I am more energetic. Dr. V is amazing. He cares deeply about me as a person. Kathy and myself encouraged anyone wanting to lose weight to stop by the Sand Institute to learn how Dr. V will change your life forever. *Medical weight loss program results vary between individuals depending on the initial weight, medical condition and adherence to prescribed treatments. Speak to Dr. Sand and Dr. Villarreal about the results you can expect. I’ve been wanting for years to lose weight. I have both high blood pressure and diabetes. I met Dr. Villarreal at the Sand Institute. I wasn’t so sure I could accomplish my weight loss goals. Dr. V was knowledgeable, engaging and highly supportive. He taught me about the importance of nutrition and how to manage my appetite while reducing the stress in my life. 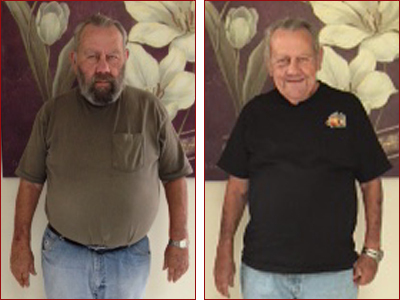 Eating highly nutritious foods low in calorie while consuming OPTIFAST for 12 weeks provided me with a 50 plus pound weight loss. I’ve had to purchase a new wardrobe and I love how I look and feel. My blood pressure is normal and as long as I watch what I eat I no longer am on insulin. The Sand Institute saved my life. Working closely with Dr. V was a remarkable experience. He cared deeply about my success. I am a 45 yo nurse and have a diagnosis of irritable bowel syndrome. I was referred to the Sand Institute by a friend of mine who had been a patient of Dr Villarreal and Dr Sand. 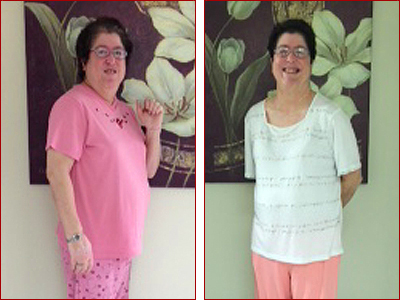 My friend Sue had undergone one of their detoxification and weight loss programs and had nothing but glowing reviews for both Dr Sand and Dr Villarreal. I was diagnosed with IBS many years ago and I wanted a second opinion on any additional treatment options available for my illness. What struck me was how thorough and complete Dr Villarreal was with his initial evaluation. He listened carefully to me rather than just tell me to take this and that medication. He offered a multitude of therapeutic options beyond just taking medications, in particular the importance of nutrition to repair my intestinal lining, reducing the toxic load in the foods I ingest, a personalized exercise program and many other stress reduction techniques. He was right, many of my flare ups were associated with the stress in my life and as a consequence of my daily diet. He talked about the “bad” bacteria in my intestines and a concept called “leaky gut” syndrome. Apparently a leaky gut is associated not only with IBS, but also dementia, arthritis, Parkinson’s disease and even depression! He adjusted my diet, while providing me with an explanation of how consuming the right nutritious foods would alter the kind of bacteria in my intestines in order to reduce my symptoms. He was right! I even lost some unwanted pounds around my tummy and my flare ups aren’t as common. I feel relieved that to some degree I have control over my health! I no longer eat refined carbs or flours. I’ve weaned off of foods containing gluten and those that are highly processed. I really believe I think clearer than before and I’m certainly better able to handle the stress in my life. All because I’ve changed the kinds of bacteria present in my intestines!! Dr Villarreal and Dr Sand utilize the most recent scientific information on the gut microbiome. Not only are Dr Villarreal and Dr Sand highly knowledgable, but their so easy to talk to. They really have a genuine interest in my health and wellness. It’s not common to see physicians who are energetic, healthy, caring and so athletic! They actually live the way they taught me to! I highly recommend both Dr Sand and Dr Villarreal to all my family and friends. They don’t just look at their clients as a group of symptoms, but rather as complete individuals offering many therapeutic options including lifestyle alterations that encompass the importance of nutrition and stress reduction. Their approach to medicine is highly unique and individualized. I am grateful for having met Dr Sand and Dr Villarreal. They literally changed my life!